Your brand is most likely one of the most important areas of your life. I'm sure you have spent days, weeks, months and even years determining how your brand should move forward. Is your brand stuck in the status quo? Or do you feel like you're not reaching your business goals? It could be that your brand is off track. If you're not moving forward, it's time you considered working with branding experts or a branding agency. Like you, your brand is unique. Even if there are similar products or services in the industry, your business is one of a kind. But does your brand have what it takes to move into the lives of your customers? Do you have a brand experience strategy in place? If not, you should consider working with a branding agency that can help you get from point A to point B.
Eleanor Creative has worked with healthcare clinics, Federally Qualified Health Centers, residency programs, non-profits, veterinary clinics and boutique businesses throughout Lincoln, Nebraska. 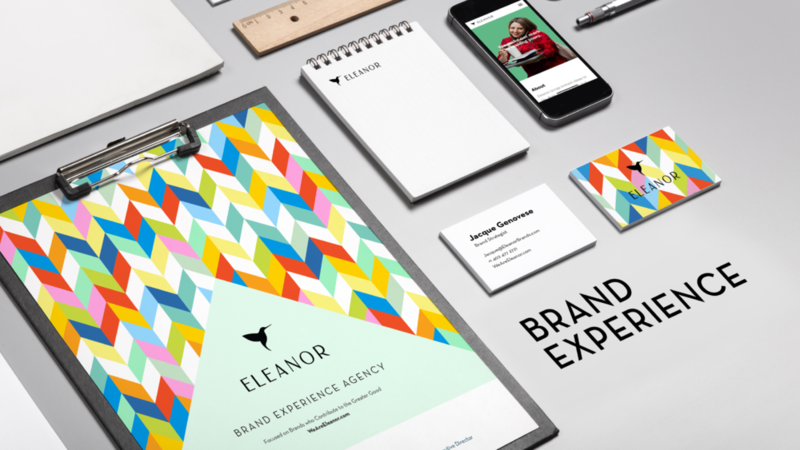 Clients choose Eleanor as their branding agency because we get it. We listen, create, and implement with your goals in mind. We love building brands in Lincoln, Nebraska but we find that helping our clients across the US is equally meaningful. I'm sure your business or organization has seen the peaks and valleys. It happens to all of us. Do you want your business to feel more consistent? Do you want to keep it at the top? Then you need a branding agency to help you create brand awareness. Don't go a day without telling your story and executing your strategy. Your business is dependent on brand awareness and more importantly your brand experience. Your brand name and logo are the primary identification for your business. But those two items alone are only a small portion of your brand. What leaves a lasting impression in the minds of consumers that come across your brand? It's more than your logo, it's the brand experience. When considering your brand think about what makes your brand experience. 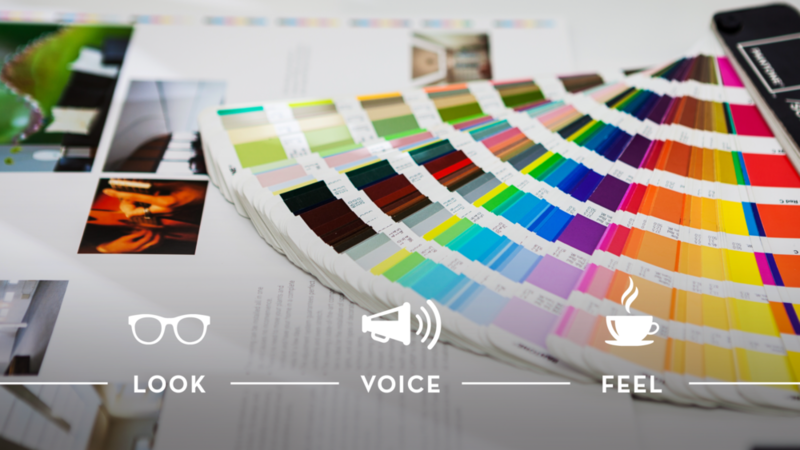 A brand experience is made up of the Look, Feel, and Voice of your company. Eleanor Creative, a branding agency, has been crafting brand experiences for more than a decade, setting our clients apart for success. Eleanor's branding agency will carefully craft or consult you on the "Look" of your brand. Our branding agency believes in the power of design. We consider your logo, typeface, brand colors, graphic design, website design, print materials and anything your customers will visually interact with. Your brand needs a distinct voice as part of your brand experience. What’s the tone you want to set? You should have a brand agency to help you define your unique voice. Do you want to sound caring? Traditional? Peppy? Clinical? Whatever your voice is for your brand, Eleanor Creative can help write the perfect copy with your voice front and center. At Eleanor Creative, we are interested in how your brand makes people feel. We know that your brand experience must resonate powerful and positive feelings with your consumers. Our branding agency excels at listening and understanding your target audience. When we combine both of those components we can craft the right feeling. Eleanor Creative is a branding agency that cares about making every brand experience memorable. What better way to boost your brand through crafting a brand experience? Lincoln is full of marketing agencies and advertising firms but choose an agency that looks at your business as a whole. Select a company that offers more than a sales approach or graphic design. By choosing Eleanor Creative, you get a professional team of designers, writers, and strategists. Together they will grow your brand through exceptional brand experience. We are passionate about you, your goals and helping you succeed. Don't go a day without telling your story and executing your strategy. Your business is dependent on brand awareness and more importantly your brand experience.